Legendary decker. Longtime runner getting into fixing. Survived Bug City, and everything the world’s thrown at him since. 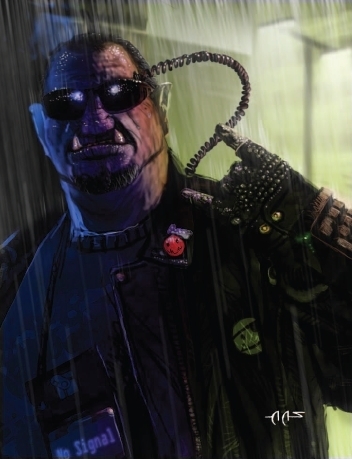 His daughter was murdered working on legalizing the Ork Underground, and he took up her cause as his own. His son Tauren is also a decker and his wife helps run the fixing side of things.